Today I have a little haul of some items I was sent from TOSAVE.com. 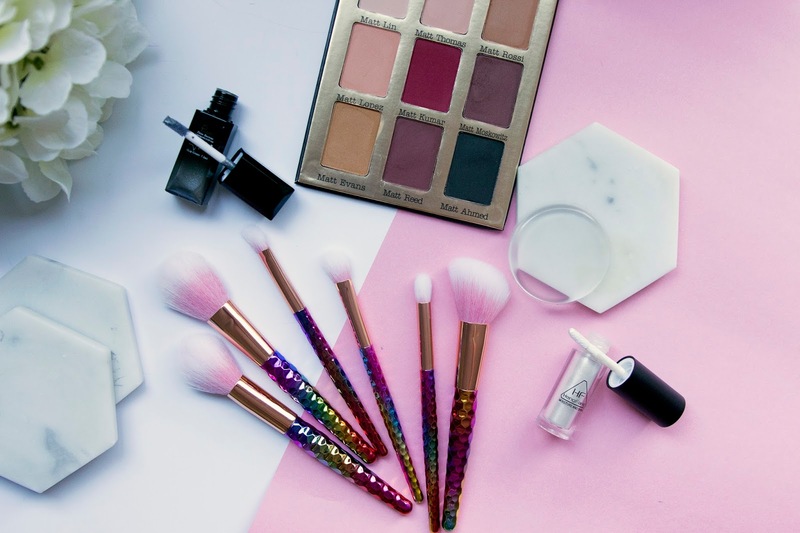 To explain, it is basically one of those Asian wholesale websites, think Aliexpress or even something like EBAY, but the range of products isn't quite as extensive. That said, they have pretty much all the same categories as all those other websites, and the less extensive catalogue means it's actually possible to see pretty much all they have to offer, and you're still likely to find what you're looking for, there just won't be as many choices. The same company also has a website called SheInHair. I haven't received anything from that website, so I can't give a review or opinion on it, but they did send me some products from TOSAVE.com to test out, so let me share my thoughts. Considering the cheap price of this palette (only $5.07), the pigmentation and quality of the shadows are quite good. 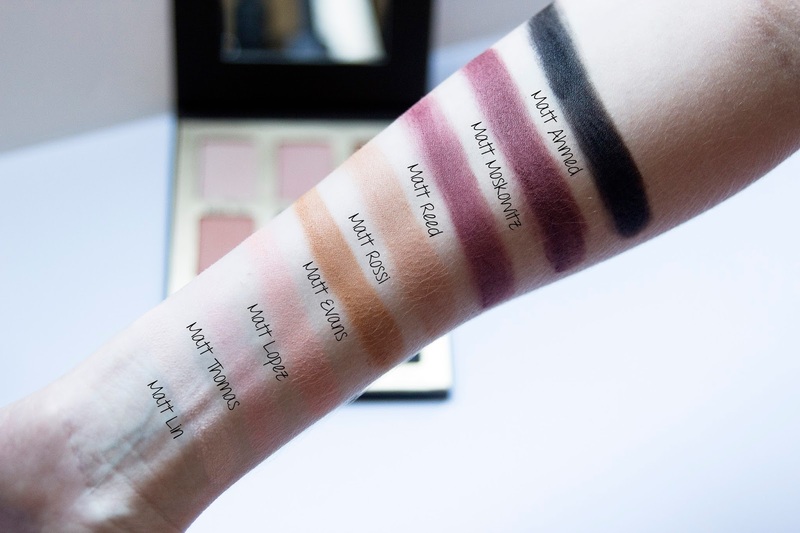 When swatching them, I found that most required a couple of swipes before I could make a real bold line, and some of the lighter brown shades were a tad crumbly, but overall I was super impressed with the quality. When I tried to wipe them off with a makeup wipe the darker shades in particular, wanted to stand their ground, which I was pretty impressed with. 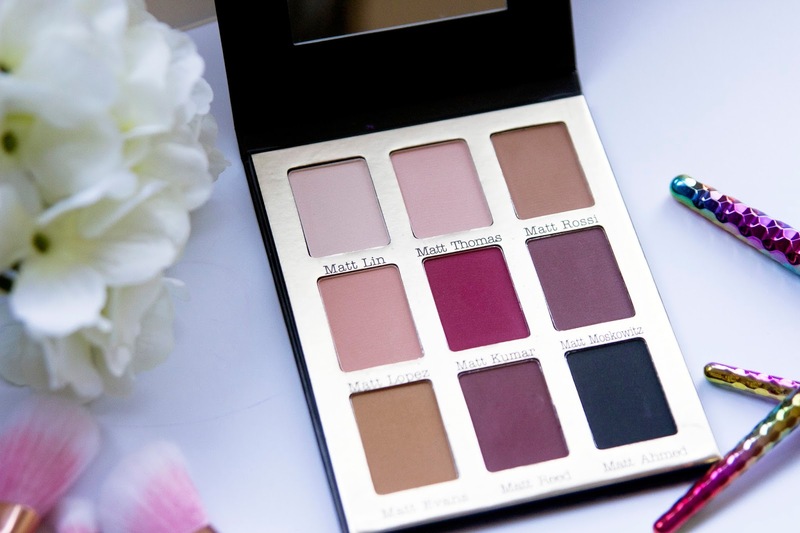 As someone who is a bit of a neutral shades fan, I found the range of colours in this palette perfect, and you could easily create some nice day looks, as well as some more dramatic night time looks with this selection. The mirror on the inside is perfect for getting things done on-the-go or to help you get a close-up look at your artistry. 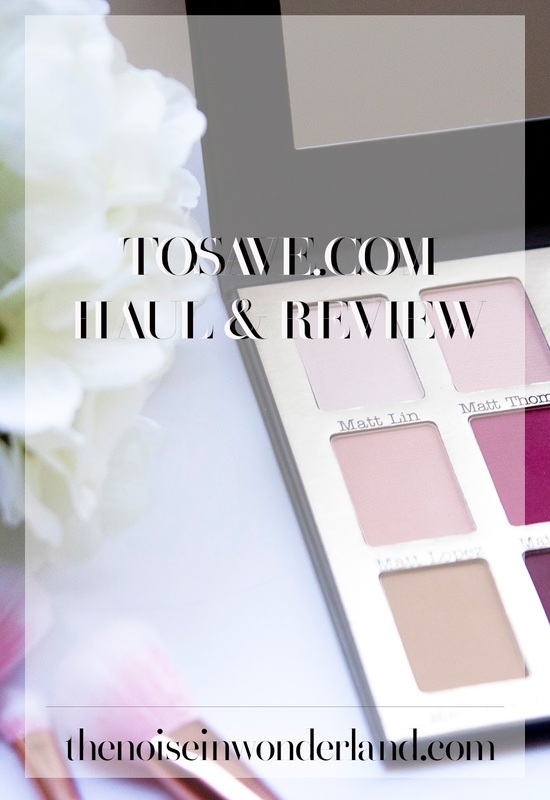 Also, yes, the shade names and colours do seem to replicate that of The Balm's Meet Matt(e) Trimony Matte Eyeshadow Palette, though the outside packaging isn't the same. I know people tend to sit in two camps when it comes to replica makeup like this; either you're not too fussed or you're really against it. I personally sit in the not too fussed category, though I can completely understand being against it. At the end of the day, I'm aware that buying a replica at the fraction of the price means I won't be getting the quality that would come with buying the proper product. 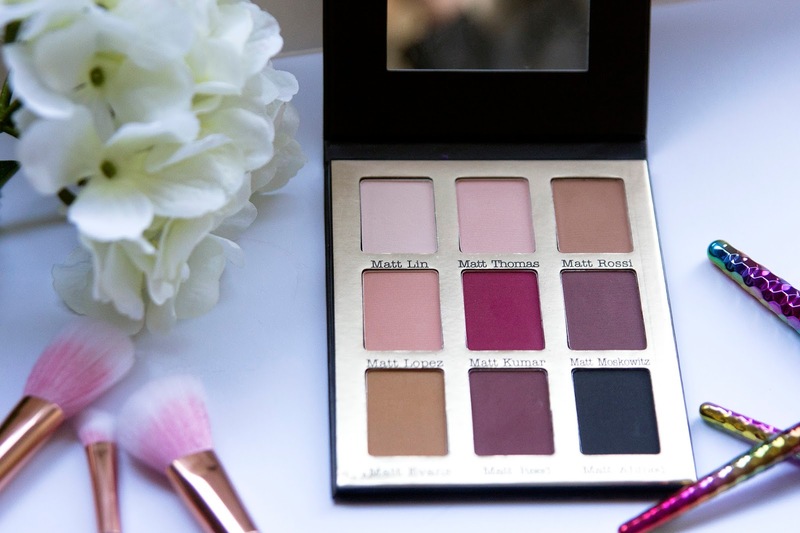 I really want to do an actual makeup look with this palette, so keep an eye out for that. I don't really have a super blinding highlighter in my collection yet, so when I saw this I thought it might be able to fill that void. When I first swatched this on my hand, the liquid seemed to seperate, so I wasn't sure how it was going to go. After rubbing it into my hand however, it gave a wonderful, white glow, and once it had all dried down, it didn't want to budge; it took a good wiping with a makeup wipe to get the stuff off. 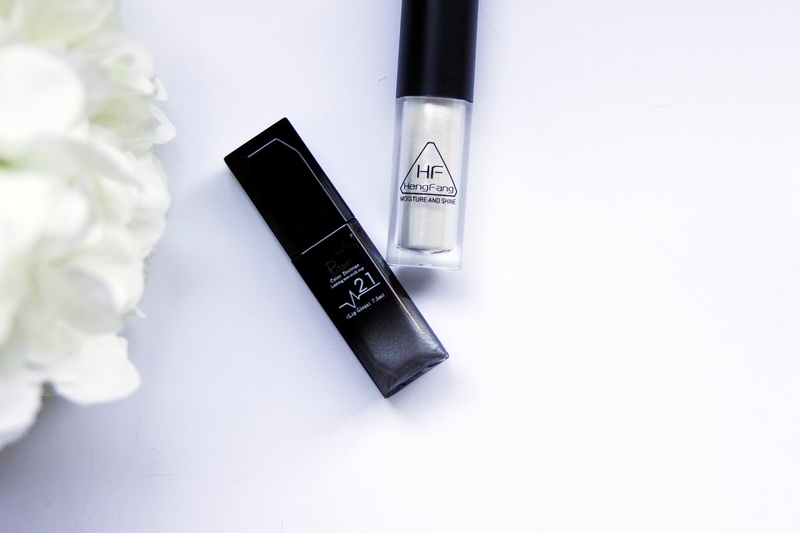 I feel it would transfer quite nicely to the face, but I am wanting to do a makeup look using the product, so I can let you know then how well it works with foundation, but overall I was quite impressed with the shimmer it gave for such a small price point. 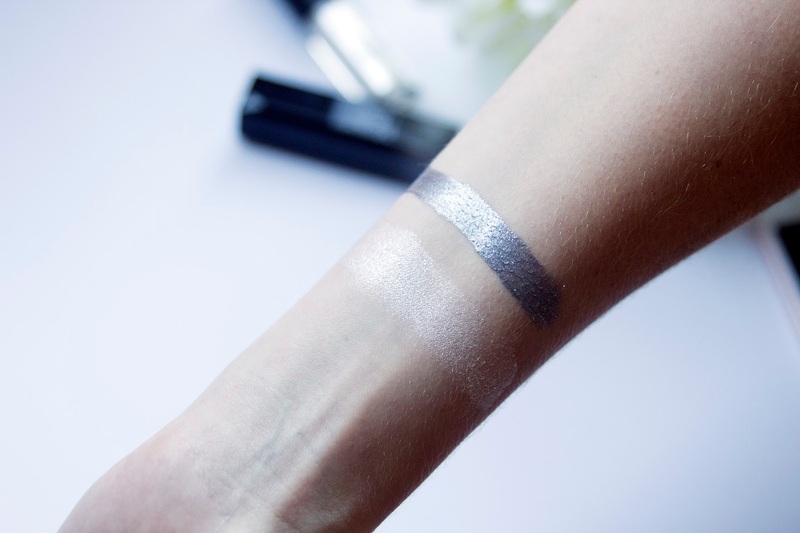 The name also mentions it could be used as an eyeshadow, which I'm yet to test out, but it seemed to stick pretty well to my hand, so I feel like it could work pretty well on the eyelids. I'll have to test this out in the near future and check back with you. When I saw the colour of this online, I had to try it. 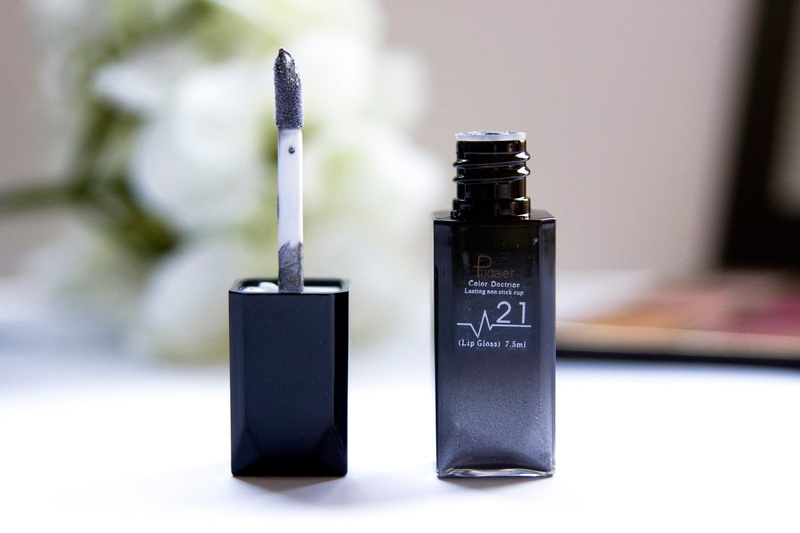 This grey metallic colour is unlike anything I have in my lip colour collection, and with the name of the product claiming to be matte and long lasting, I just had to put it to the test. When you recieve the product, it does say lip gloss on the front, so I was a little worried it wasn't going to be a liquid lipstick like it had originally claimed on the website. One swatching it though, I can tell you it is certianly no lipgloss. This stuff was only $1.36 and I have to say it's killing it for that price. First off, the colour of this stuff was spot on. It's quite a dark and bold colour, so probably something I'll be saving for some night out or speical event, but I absolutely love it. The forumla is easy to work with, and this stuff certianly dries down matte. I was scrubbing hard with a makeup wipe to get this stuff off. So make sure to let it really dry before you start doing any eating or drinking and you shouldn't have a problem. The applicator is your usual and I have no negative things to say on that point. For the cheap price point I could'tt recommend it enough, especially for a bold colour like this that you might not be getting tons of use out of. 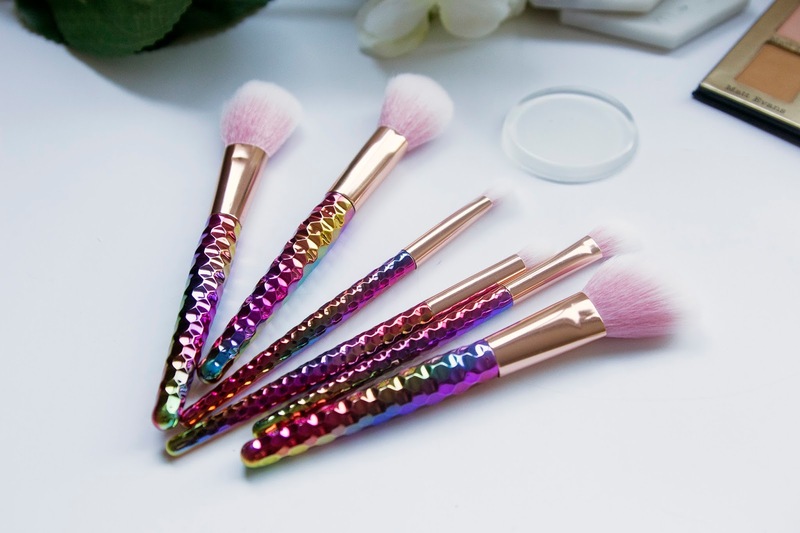 Adding some unicorn magic to your beauty life is such a huge trend right now, so when I saw these on the website I had to grab them and jump right on board that magical train. I figured even if they weren't the best quality I'd ever used, having them in my collection they would at least look pretty; however, I was quite impressed. Now, these were only $6.59, so my expectations weren't set very high, but as I said, I was pleasantly surprised. Now sure, they aren't the softest brushes I have ever touched in my life, and also they aren't full-length brushes but are a bit shorter, which I wasn't expecting, but for the price, they are still nice on the skin and certainly aren't rough by any means. Also, the small size means they would be great for travel. 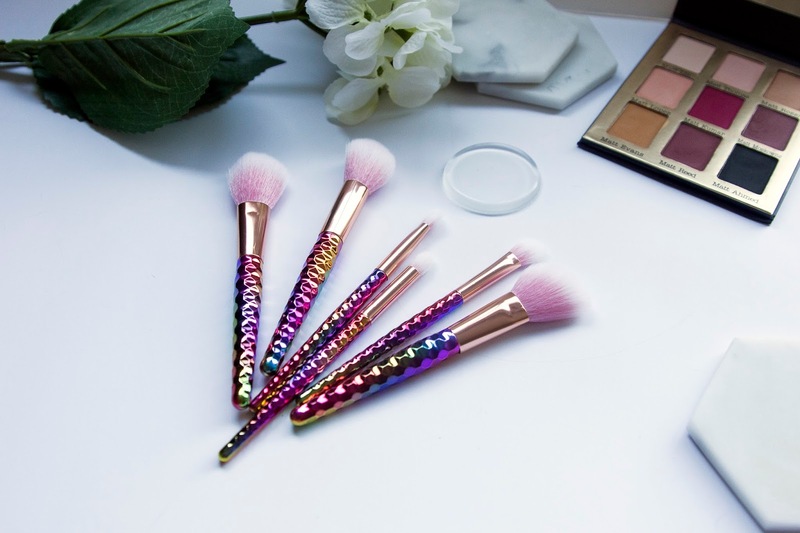 Overall, if you want some pretty magical looking brushes, and aren't fussed if they aren't the highest quality brushes you own, I would certainly recommend them. These have been a massive trend in the beauty community, and I've been wanting to give it a go for a little while, so I had to pick this one up and test it out. 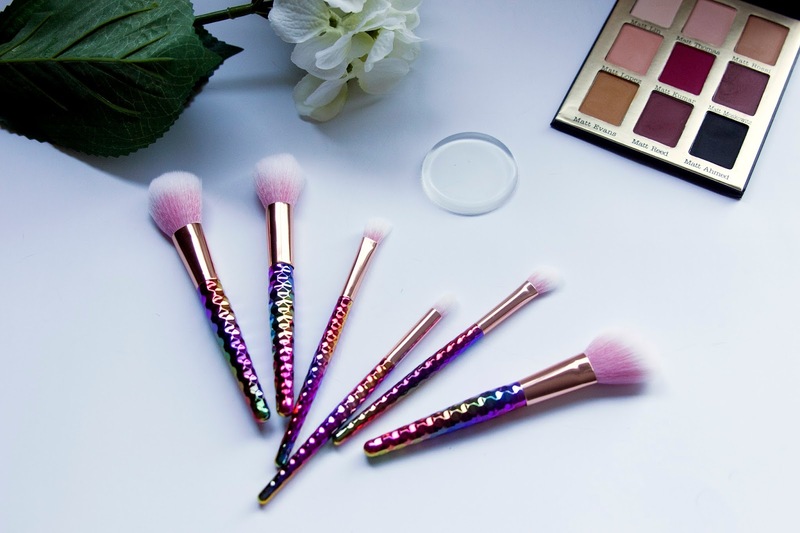 I was certainly expecting it to be a bit different to using a normal makeup sponge, as there is no way for any product to soak into the sponge, and the entire texture is just so different. On writing this, I've tried using it a couple of times, and I have to say I'm not quite sold yet. I think it's something that will take a few times to use before I get use to using it, but at the moment I'm just not a fan of how the silicone works the foundation into the skin, and I find it takes so much longer and I could just get a really nice finish in a much shorter period of time with a normal makeup sponge or brush. I understand the idea is you use less of your product, they are much easier to keep clean and hygenic, and they would last much longer than your regular sponge, but the way it works just hasn't brought me over to the plastic side yet. 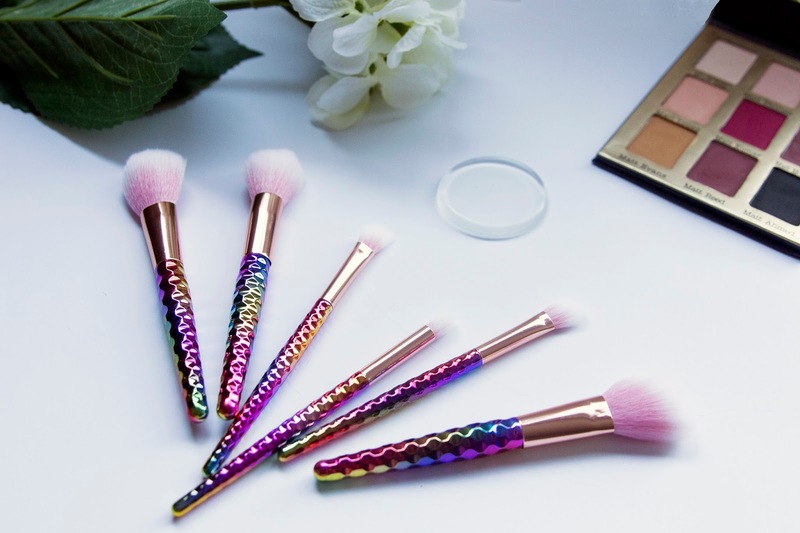 I loveee the look of those brushes, so gorgeous! I'm probably a little more in the "against" category for replica make up Haha I don't know why, maybe it just makes me a little nervous. 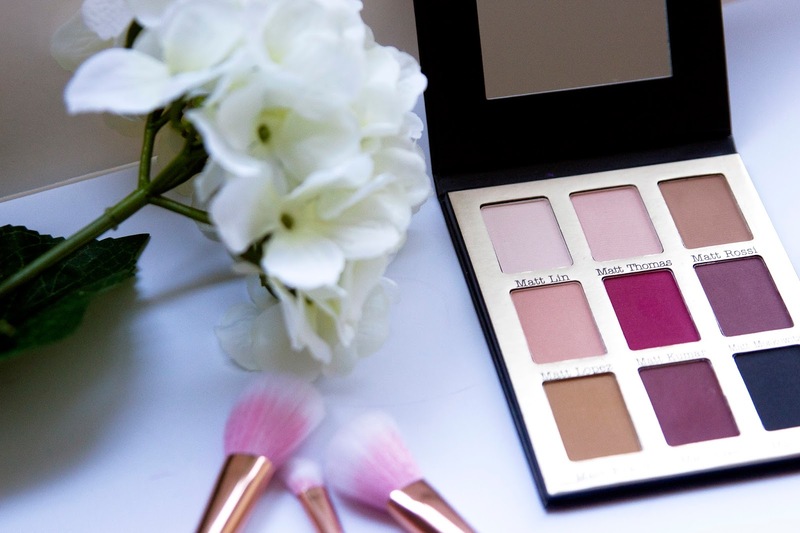 That palette does look really good though! 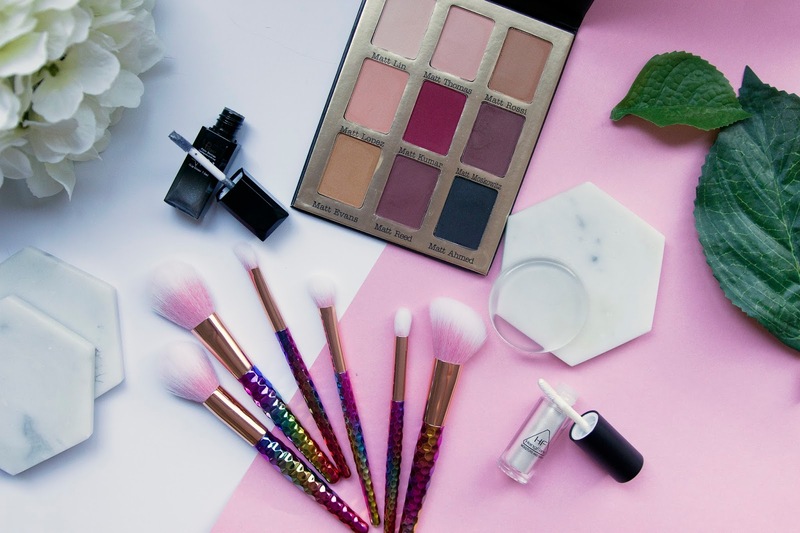 I generally consider myself to be against the replica stuff (which goes for a lot of things, not just make up) but all of these products look great for the price!